"Bar staff were very friendly." 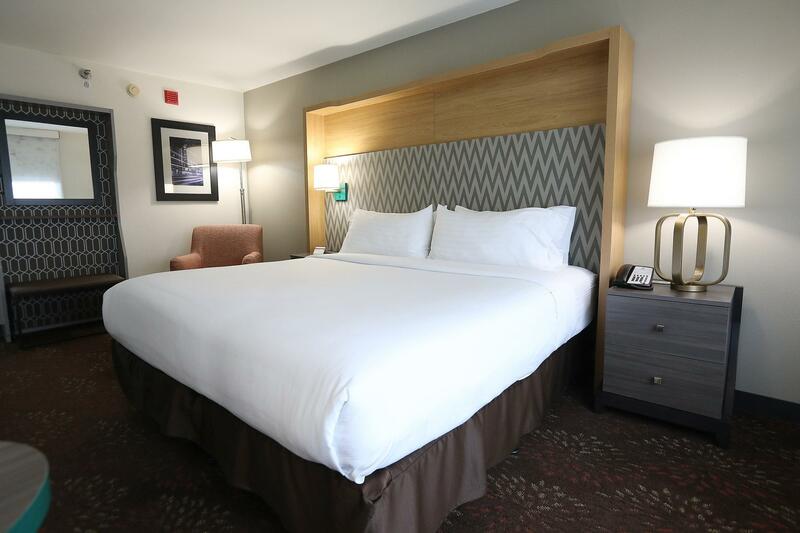 Offering a free transfer service to O'Hare International Airport, this Chicago hotel features on-site dining and guest rooms with free Wi-Fi. The Blue Line of the subway is 4 minutes’ walk away. 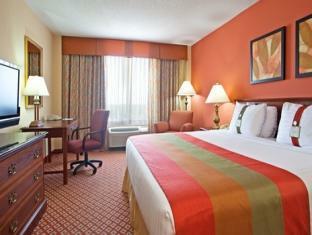 Equipped with a fridge and microwave, each room at Holiday Inn O'Hare Area includes tea and coffee-making facilities. Warmly decorated, all rooms feature cable TV. A 24-hour reception is offered at O'Hare Area Holiday Inn. A business centre complete with fax and photocopying services is located on site. Dry cleaning services are available. After a day of exploring, guests can have a cocktail at Bar Louie O'Hare. The restaurant offers all day dining, serving a variety of sandwiches and pasta. Donald E. Stephens Convention Center is 4 minutes’ drive from this hotel. Guests can utilize the free transfer service for destinations within a 5 mile radius. Navy Pier is 13 miles away. close to airport and free shuttle bus. 6-8 minutes walking to station.Excellent bar and comfortable room. On check-in, a front desk staff told me that my arrival had been recorded next day in hotel reservation system. As I showed her the copy of reservation I have had from Agoda, my reservation was confirmed. However, I would be at a loss if I have not had a copy. I am not sure the reservation trouble came from the hotel reservation system or Agoda's system, but the same thing should not happen. Bar staff were very friendly. Great if you arrive on a late flight and need a place to stay near the airport. Facility is not updated, feels and looks a little old. Other than that they still kept it pretty clean and no other problems encountered. A multiracia hotel staff that display American liberality and efficiency at its best. No nonsense check-in check-out. 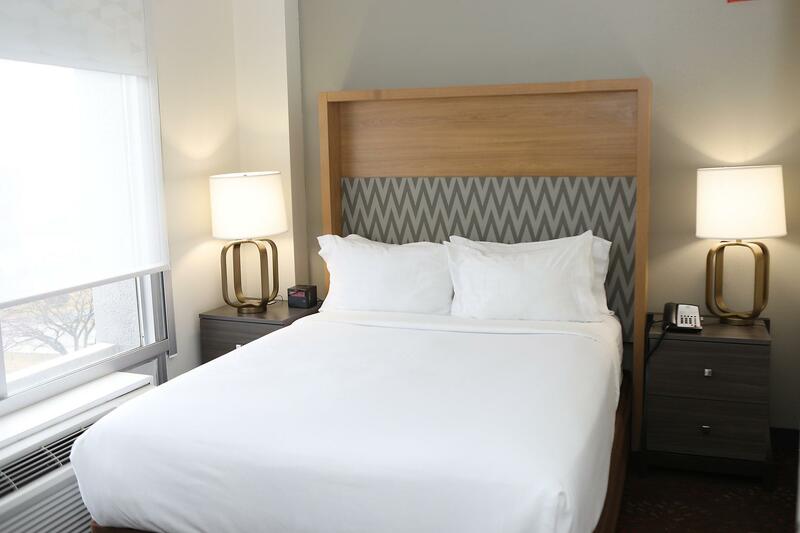 High quality amenities like food, linen, toiletries, and services. Very wholesome, restful, and pleasant stay. Thanks. the overall comments is okey. the room is clean and the staff is helpful the restaurant in the hotel is good. I had a delicious breakfast there. the hotel is close to the airport. it only takes 10 mins from the airport if you take the shuttle bus. If you want to go to the downtown, you can ask the shttle bus driver to leave you at the rosemont station and take the train. It may take 45 mins to the down town if you take the train. the room in the hotel is fair. i am unlucky that the water supply has some problems so that i can only takes a cold water bathing at that night. Good place overall. Great bed, quiet sleep even though it's next to a busy road with airplanes overhead. Quick access to airport and just across the street from the L train station. Restaurant/bar in hotel is good, but I have trouble getting any service at all for breakfast one day which made me walk out. Other than that, good overall hotel. This is the third time I've stayed in this hotel. It's very near the American Management Association conference center, so this hotel is a good deal if you have a conference. It's just 10-15 minutes from the airport. At the airport, there's a free shuttle to the hotel. And even during my conference, the hotel shuttle would bring me to the conference center. It's a self service hotel, so despite the polite staff, don't expect much service. Room service can be quite pricey though, so I'd just eat out in the area. The train is nearby, though you'd have to cross part of the freeway first. So make sure you are good at crossing the street! It's close to the CTA station, and an outlet is just one station away. I choose this hotel also because of its free shuttle bus to the airport. However, I couldn't use it because the bus left 5 min earlier than it scheduled time. And the next one is 45 mins later that I might miss my flight. They didn't even try to fix this, and just ask me to take the cab myself, which costs 25 USD. It's a pleasant stay just for transit to other city. With good internet I was able to do my meeting in time. I have stayed in this hotel twice and the performance is consistent. Value for money, clean rooms, polite staff. What I also loved most was the free shuttle to and from the airport. 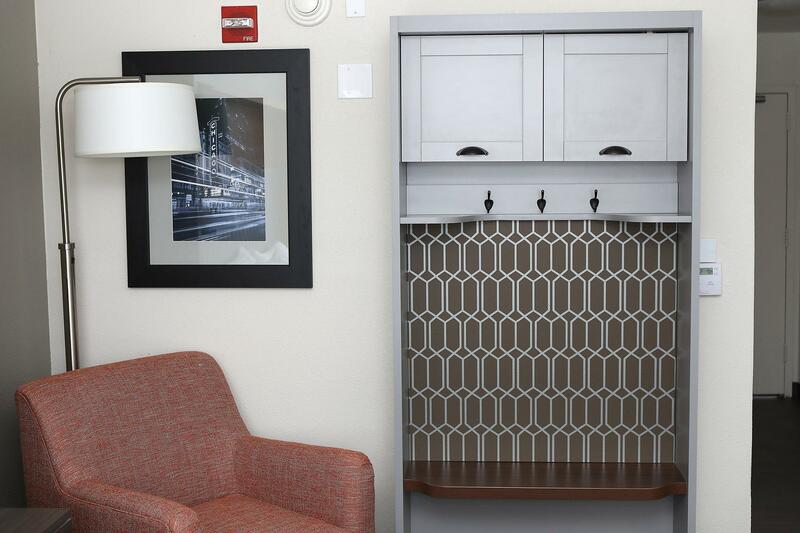 They also have a laundry area, which is convenient for business travelers. Stay in this hotel if you have activities in the area. If your plan is to do sightseeing in Chicago, you may be better off staying in a hotel downtown. Still, if price is your consideration, this hotel is okay. It's walking distance from the Cumberland MTA station, which will bring you to downtown Chicago in about 45 minutes. first of all, driver of the hotel shuttle very friendly, although hotel shuttle phone service at the airport does not have this hotel phone number. i have stayed at the 7th floor with nice view.you have to take cab to go to dinner from the hotel, but the hotel has bar louis, that serve more than 40 beers on tap, and various choice of food. room is so nice to stay. i would stay there again if i got a chance to go there again. I stayed just 1 day for my flight. It was close to subway, blue line, so I could go down town. I could use free suttle for air port. We enjoyed the stay in this hotel. Nice large rooms with great facilities in the hotel. The hotel's location was good as it was only a 10 minutes walk to the subway. This subway will get you into Chicago downtown very easily. The staff were friendly and helpful. This hotel is fairly new, great bar/lounge/restaurant in the hotel, free parking for hotel guests.